How much is your farm worth to rent? 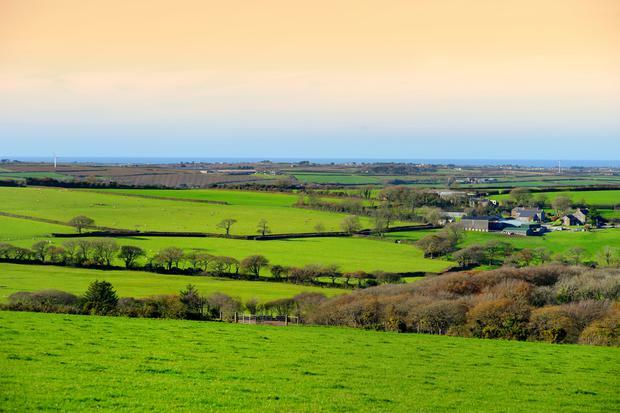 There was a very mixed provincial performance for the agricultural land market in 2017, according to a new survey by the Society of Chartered Surveyors Ireland (SCSI) and the Agricultural Economics and Farm Surveys Department of Teagasc. Agricultural land rental values increase in Leinster, with generally more modest changes in Munster and Connaught/Ulster but long-term leasing is putting pressure on conacre rental market in Leinster and Munster. Rents in Leinster increased in 2017 for all categories of agricultural land except potato ground. Rental values in Leinster increased by between 10pc and 14pc for grazing land. In the same province, rental values increased by 13pc for cereal crop lands and 27pc for other crops (including maize and beans). Rents for land allocated to potato crops fell by 11pc. Relative to 2010, rents for cereal crop lands were 63pc higher, while rents for grazing lands are about 50pc higher in 2017. Rental values for grazing land changed slightly during 2017. An increase of 26pc is reported however in relation to cereal crop land in Munster. Land allocated to other crops showed a rental value decrease of 7pc, while rental values for land allocated to potato crops increased by 3pc. In comparative terms, rental values are no longer higher than in Leinster for grazing land but rental values in Munster remain higher than in Leinster for cereal crop land. Rental values for grazing land fell relative to their 2014 levels. At the same time, the results point to a significant increase of 55pc in rental values for cereal crop lands, with values reaching €170 per acre, which is still far lower than in the other two regions. A modest increase of 4pc was recorded for rental values associated with land used for other crops (including maize and beans). The overall findings in relation to the land rental market suggest that the rise in long-term leasing is placing pressure on the conacre rental market in Leinster and Munster. Rental values are rising as a consequence. In Connaught/Ulster, there is less evidence for such a trend. In terms of the volume of land sales, an increased percentage of respondents expressed the view that the volume of agricultural land sales will increase over the course of 2018, compared with 12 months ago. With the high level of profitability in dairy farming, survey respondents expect the demand from dairy farmers to purchase farmland to increase in 2018.